The 2019 Oregon POLST form (version 13) became effective on January 2, 2019. All prior versions of the form will continue to be honored. The Coalition asks that all health systems implement the use of the 2019 form by April 8, 2019 when completing new POLST forms. The summary of the changes can be found here and in the Oregon POLST Professional Resource Library. The 2019 form is available to order online and entities interested in printing their own forms should contact the Oregon POLST Program at polst@ohsu.edu. 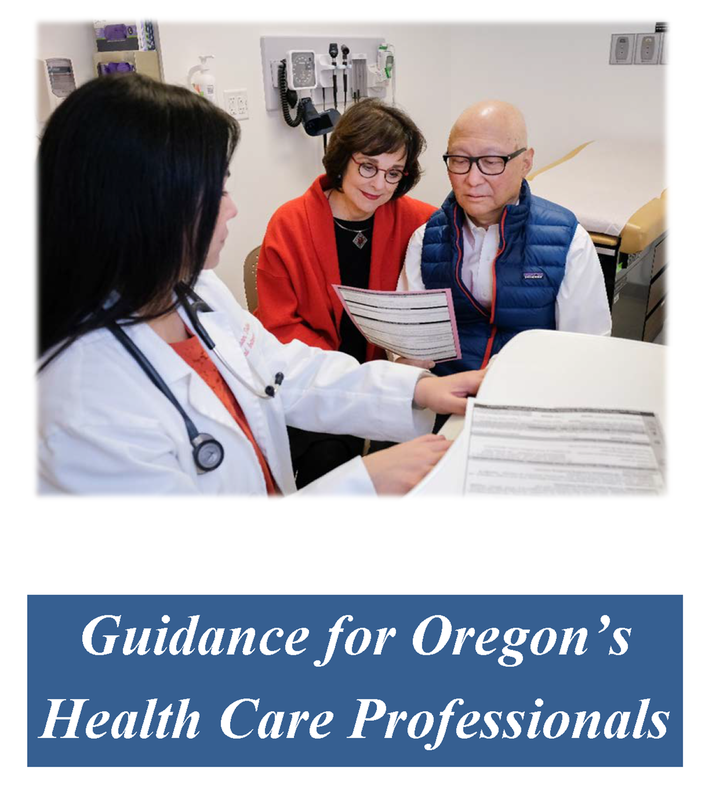 The Oregon POLST Education Committee has updated and substantially revised the POLST Guidebook for Health Care Professionals. The downloadable guidebook can be viewed here and in the POLST Professional Resource Library. January 11, 2019: All-City Palliative Care. Tyler Tate, M.D., M.A., will present "Dear Palliative Care Team, Please Help Us with this Demanding Patient!" at Adventist Health Portland. Click here to view the event. February 8, 2019: Susan Tolle, M.D., will present "POLST: When is the right time?" at Willamette Valley Hospice. This workshop is designed to enhance skills in supporting people as they become more ill and frail. Attendees will learn the vocabulary and skills needed to help people talk about what matters most with their health care professionals and others as they move toward completing a POLST form. If you are interested in taking the next step in advocating for informed decision-making near the end of life, contact Melissa Lindley at melissal@wvh.org or call 503-588-3600. Seating is limited and registration is required. If you have any questions, contact Molly Willis at willima@ohsu.edu.